Lisbon is without a doubt one of Europe's top destinations to visit. There are beautiful terraces all over the city to take in the views, a Moorish castle, and stunning main plazas. The houses are gorgeous; either painted in vibrant colours or decorated with intricate tiles. 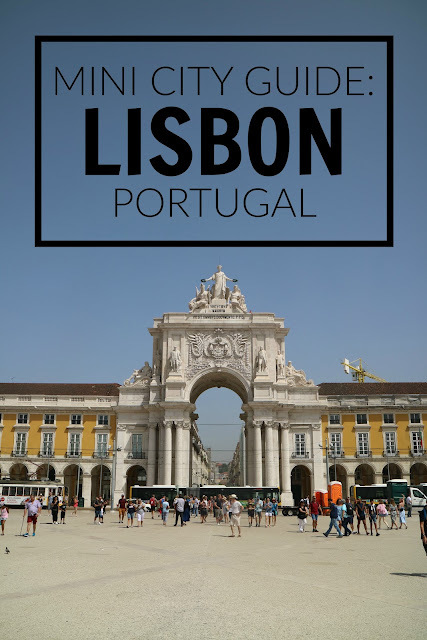 This Portuguese city has a great atmosphere wherever you go, and it's full to the brim of things to see and do. Give yourself 2-3 days to allow yourself enough time to visit the main attractions. Lisbon has one international airport (LIS - Lisbon Portela Airport) which is approximately 8km from the centre of the city. The easiest way to get from the airport is to jump in a taxi, but this definitely isn't the cheapest option! A convenient and affordable method is to get on the Metro. If you're staying in the centre of Lisbon, you'll most likely need to use two lines. The red line will take you from the airport into the city, and then there are three other lines that reach different areas. Like most other European cities, the Metro is incredibly easy to use, and there are clear signs at all stations. A one-way ticket from the airport costs €1.95, and it takes roughly 30-40 minutes depending on where your hotel or hostel is. Once you're in the city centre, you have several options for getting around. If you're on a tight budget, walking is completely free, and you can see a large amount of Lisbon without any other means of transport. Most of the main attractions (Castelo Sao Jorge, Santa Justa Lift, the Rua Augusta arch etc.) are all within walking distance of each other. However, if you plan on visiting the Belem district to see the Monument to the Discoveries, Belem Tower or the monasteries, this is in a slightly different part of the city. To go here, you'll want to take the bus as otherwise it's a 1 hour 20 minute walk. The bus stops in Lisbon are easy to find and clearly say which buses stop at each one. The buses are modern and arrive on time. Other ways to get around the city include the Metro system, and of course the trams. Tram 28 is popular among tourists, although we avoided this! Each one we saw looked packed full which didn't look too enjoyable in the summer heat. My top tip: Visitors can purchase a 24-hour public transport ticket that works on all buses, trams and the Metro. It costs €6.15 and also allows you to go up on the Santa Justa Lift. If you're looking for a clean, but basic and no frills hotel, I'd highly recommend the Tagus Royal Residence Hotel. A triple room with a shared bathroom and breakfast included, for two nights cost £115. That works out as roughly £19 per person per night - bargain! It's around a 20 minute walk from the city centre, or there's also a main Metro station (Marques de Pombal) that's a three minute walk away. If you have just two days to explore Lisbon, put on some comfortable shoes and fill both days to the brim. You'll need every second! Santa Justa Lift: Down a narrow cobbled street this industrial looking lift looks completely out of place. However, the observation deck at the top has some of the best views in Lisbon. Carmo Convent: Right next to the Santa Justa Lift are the ruins of a former Roman-Catholic church. It was destroyed by an earthquake and the roof was never rebuilt. Rua Augusta Arch: Next to the main square on the riverfront is the Rua Augusta Arch and the bright yellow buildings. It's a lovely place to sit in the sunshine, eat some lunch and people watch at the same time. Try a Pastel de Nata: aka a Portuguese custard tart! Castelo Sao Jorge: This Moorish castle is probably one of the most visited attractions in Lisbon, and quite rightly so! 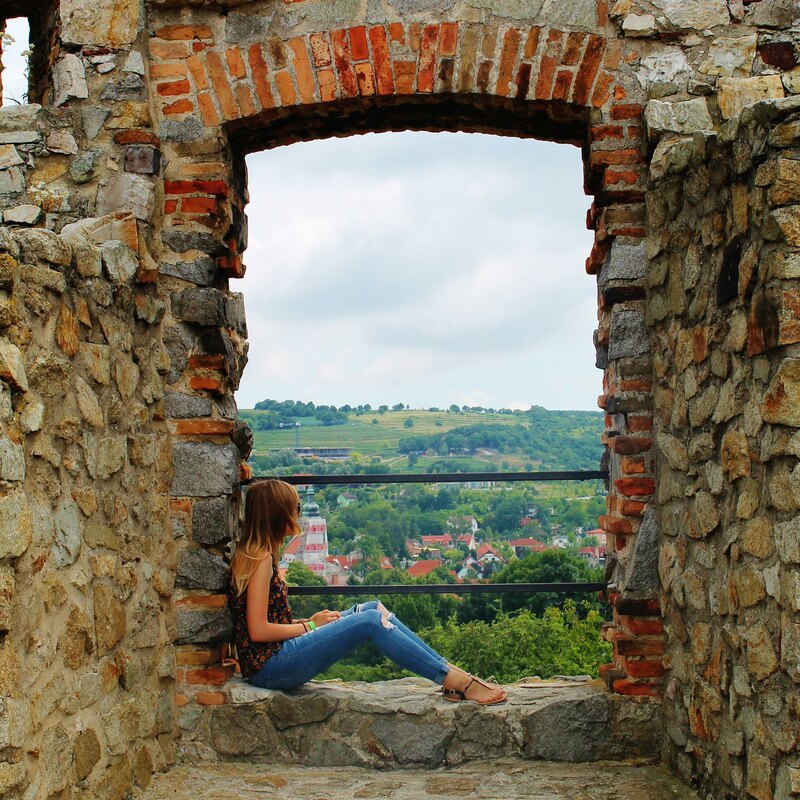 The castle grounds and ruins are amazing to walk around, and you can see views of the entire city below. 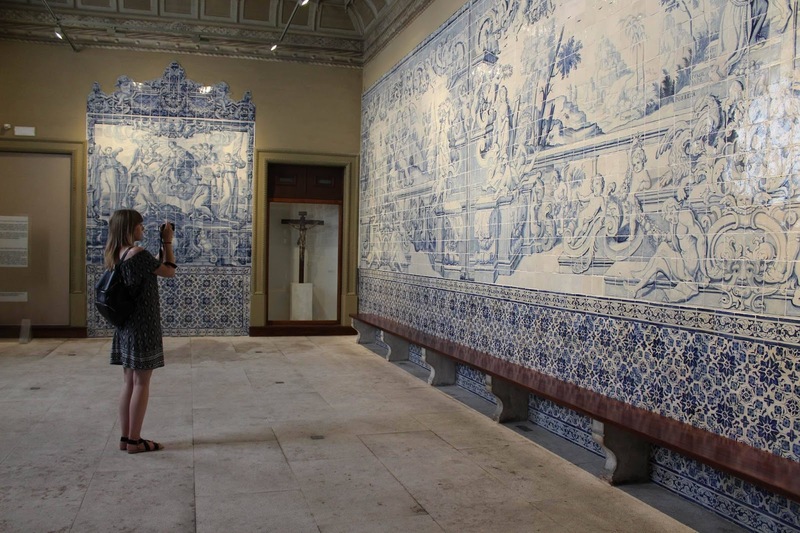 The National Tile Museum: Start your day of by visiting this incredible tile museum. Each room is beautiful! Jeronimos Monastery: Head over to the Belem district to see the amazing Gothic monastery. If you can, book tickets beforehand online as otherwise you'll find yourself in a pretty long queue. The Monument To The Discoveries: This monument is over 50 metres high and shouldn't be missed. Visitors can take an elevator up to the top for amazing views of the monasteries below. Belem Tower: A little further down the river front is Belem Tower, an iconic landmark of Lisbon. It's a UNESCO World Heritage Site that once used to be part of Lisbon's defence system. Do you have more time in Portugal? If you have a spare day or two, head to the nearby town of Sintra. It's only 40 minutes from Lisbon on the train, and costs as little as €2 one-way. Here you'll find the fairy tale Pena Palace, alongside other incredible castles and palaces. Just imagine a Disney castle in real life and that's Pena Palace. Why not check out my Portugal series? With more to come very soon!